Policy Debate | Learning to Grow Beyond the Middle-Income Trap - Singapore as an Export Model? Editor’s note: These papers are a contribution to the ‘Policy Debate’ section of International Development Policy. In this section, academics, policy-makers and practioners engage in a dialogue on global development challenges. Papers are copy-edited but not peer-reviewed. Instead, the initial thematic contribution is followed by critical comments and reactions from scholars and/or policy-makers. This debate can be pursued on the Journal’s blog http://devpol.hypotheses.org/528 where you are invited to share your reflections under your name. In the initial paper ‘Learning to Grow’, the authors argue that a key challenge for middle-income countries is to avoid ‘the middle-income trap’. In this situation, economic growth has come to a halt and a country is unable to transition to the next level in part due to inadequacies in high-level human capital. Taking the example of Singapore as a country that has avoided the middle-income trap, the authors call for ‘a much closer alignment of policies for human capital and economic development’ and a ‘human capital focussed development strategy’. In his answer, Professor Gopinathan, from the National University of Singapore, analyses some key conditions that were crucial for Singapore’s success and questions whether the model could be exported to other contexts. The initial paper was directed by Prof. Raymond Saner and Dr. Lichia Yiu with background data prepared by James Sundquist and additional input from Laura Wojizek. 1Low levels of human capital stock limit growth opportunities for companies and correspondingly can slow down economic development thereby endangering a country’s competitiveness. Perceived underinvestment in human capital by its firms can be corrected by a country by making investment in human capital a centrepiece of its development strategies. Singapore provides a model of such a strategy, continuously improving its human capital to attract foreign investment to the county. Singapore’s continuous upgrading of its workforce’s skills has unlocked equally continuous development of higher-value-added economic activity, a development “miracle.” Although it is unlikely that another country could easily duplicate Singapore’s model, it offers useful lessons, particularly for other small nations. This article presents a sector-specific analysis of how Singapore’s workforce planning was implemented through a continuous skill improvement strategy. 1 Felipe, J., A. Abdon and U. Kumar (2012), 27. 3 Jankowsa, A., A. Nagengast and J. R. Perea (2012), 43. 4 Eichengreen, B., D. Park and K. Shin (2013), 10-11. 6 Brunello, G. and M. De Paola (2004). 7 Dobbs, R. et al. (2012), 1-2. 4Consequently, governments often need to promote human capital accumulation in order to improve national competitiveness and develop a more advanced economy. Public involvement in education and training is nothing new, of course, and is typically aimed at elevating general levels of education. Doing so is important for development, but a much closer alignment of policies for human capital and economic development could make both more effective. By coordinating with businesses and labour organizations in order to understand which skills are needed and which sectors are poised for growth, countries could accelerate development by targeting investment in human capital. Both public investment and incentives for private investment would be instruments of development strategy, improving workforce skills, moving businesses up value chains, and ultimately raising standards of living. 5 A human capital-focused development strategy would enjoy widespread support, from businesses in search of skilled employees, labour unions anxious about unemployment, and from a global trade regime in favour of non-discriminatory policies. Furthermore, it would benefit the country by improving economic diversity, while requiring fewer sunk costs from the public sector than other activist strategies, such as industrial policy. 9 Federal Reserve Economic Data, Federal Reserve Bank of St. Louis. 10 Department of Statistics (2013). 7Skills gaps impede development through three pathways: as a domestic supply-side constraint, by deterring foreign investment, and by deterring technological upgrading by firms. 11 Jansen, M. and R. Lanz (2013), 12-13. 8The first of these pathways is the most obvious: businesses have difficulty competing and expanding their operations without enough skilled employees. Evidence comes from a recent OECD–WTO survey of small-to-medium size companies in five sectors important to developing economies: agriculture and food, textiles and apparel, tourism, information and communications technology (ICT), and transportation and logistics. Developing countries’ companies reported a lack of appropriate skills as one of the top three obstacles to operating or upgrading a business in four of the five sectors, excepting transportation and logistics.11 Countries desiring a healthy business environment might conclude that investment in skills is as essential as streamlining regulation and protecting property rights. 9 Low levels of human capital deter foreign direct investment (FDI) by transnational corporations for the same reasons they hamper domestic firms: it is difficult doing business without the right people. However, FDI is worth mentioning separately for two reasons. First, attracting FDI is a long-established, popular strategy, frequently recommended to developing countries. The spillovers of technology transfer and inflows of capital and foreign exchange associated with FDI mean it merits special attention. Second, transnational corporations can react to skills gaps differently than can domestic firms. The OECD–WTO study previously cited also surveyed “leading firms” in the five sectors; whereas skills had mattered least in the transport and logistics sector for developing countries’ firms, leading firms in the same sector were most likely to report inadequate skills as a “typical obstacle when establishing a commercial presence in developing countries.”12 Thus, countries seeking to identify skills gaps must gather information not only from domestic firms, but also from transnational corporations. 13 Acemoglu, D. (1998), 1055. 14 Organization for Economic Cooperation and Development (2013), 39-40. 10In addition to these direct effects on the performance of firms, shortages of human capital can indirectly hamper economic development by restricting firms to the lower rungs of global value chains. Skills have been found to have a Say’s law-type relationship with technological upgrading — an increased supply of skills “induces skill-biased technical change and increases the skill premium.”13 Evidence from both rich and poor countries suggests that upgrading to more advanced activities occurs in tandem with improvements in skills.14 Because of the complementary effects of skilled labour and advanced technology, developing countries should invest in human capital even if their presently dominant, low-skill sectors do not report a skills gap. 15 The following section draws heavily on Almeida, R., J. Behrman and D. Robalino (2012), 49‒64. 11 Even though both firms and employees stand to benefit from a higher-skill economy, markets for skilled labour can remain stuck in a low-skill equilibrium. As the World Bank publication The Right Skills for the Job? : Rethinking Training Policies for Workers (Almeida et al., 2012) explains, many issues conspire to deter private investment in human capital. 12 Most skills are partially transferable, so neither employee nor employer can capture all of the returns: employers fear employees taking their new skills elsewhere, while employees can’t be sure that their new skills will translate into higher salaries. Consequently, both underinvest. The employer faces a “poaching externality”, while the employee’s situation is referred to as a “matching externality”. 13 Training usually requires borrowing based on the expectation of increased future earnings. However, if financial institutions are uncertain about the return on a course of training or other factors regarding an individual’s ability to repay the loan, they may decline to lend. Training is most important for youth who often lack collateral, exacerbating the problem. 14 Underinvestment in skills can occur even in perfect labour- and capital markets if firms and workers cannot depend on something provided by the other. In innovation externalities, “workers do not invest enough in high-end skills because there are not enough companies that introduce innovations and demand them, and firms do not innovate and create high-productivity jobs because there are not enough skilled workers.” In vacancy externalities, firms do not create skilled positions because the cost of skilled labour is prohibitively high, while workers do not acquire high skills because there are not enough vacancies for them. 15 If individuals lack information about the returns on training or the quality of training providers, they cannot make good decisions about whether to upgrade their skills or where to do so. 16 Wade, R. H. (2010), 150. 19 Birdsall, N. and F. Fukuyama (2011), 49. 17 One argument in support of the developmental state derives from observation that interventionist East Asian states have developed much more quickly than the Latin American states who embraced Washington Consensus-style policies of reining in government.18 The global financial crisis that struck in 2008 also convinced many that the Western guardians of economic wisdom had lost their legitimacy, clearing space for a “post-Washington Consensus” that included a role for industrial policy in the developmental state sense.19 In the politically freighted realm of development policy, these historical arguments can carry as much weight as the most sparkling theory. Both trends, the rise of East Asia and the shock to free market capitalism, have made the global political economy increasingly multipolar. Whereas the Washington-based institutions of the World Bank, IMF, and United States government could once marginalize industrial policy by virtue of their near-monopoly on lending and expertise, the forthcoming BRICS development bank will almost certainly endorse developmental state-style policies. 18 The developmental state paradigm also enjoys intellectual support from many eminent economists. The most complete articulation comes from Justin Lin in his New Structural Economics (2012). Lin argues that an economy’s factor endowment determines its optimal industrial structure — the principle of comparative advantage. He adds that each industrial structure demands a particular level of tangible and intangible infrastructure, from transport to human capital. As an economy develops and its factor endowment becomes increasingly capital- and skilled labour intensive, corresponding improvements must be made to the infrastructure, or the movement into more advanced sectors will stall. Thus, development demands a “comparative advantage following” strategy of government support for structural transformation. 20 Ministry of Trade and Industry (1986). 19 In Singapore, however, such thinking is not new. As the 1986 Economic Committee Report explains, “The government plays a major role in providing a conducive business environment, and creating investment opportunities. But exploiting these opportunities and identifying the best ones to take up must be left to the private sector.”20 Statements such as “the government is unlikely to have the detailed and omniscient grasp of all sectors to identify which project to put money on” coexist with ones such as “MTI [Ministry of Trade and Industry] should be given overall responsibility for promoting services.” By positioning the public and private sectors as partners, instead of mutual antagonists, Singapore developed swiftly and harmoniously. 20A human-capital-driven development strategy has many advantages: support from both business and labour, feasibility under the modern trade regime, the potential to increase sectoral diversity, and few risks. Other strategies might share some of these advantages, but never all. 21 Agrawal, S. (2011), 44. 22 Dobbs, R. et al. (2012), 8-10. 25 Wade, R. H. (2003), 621-644. 26 Chang, H. J. (2002). 23 Proponents of industrial policy frequently criticize the World Trade Organization (WTO) for restricting the “policy space” necessary to implement it.25 Most unfair, these critics point out, is the fact that the very practices now banned in the spirit of a “level playing field” were the same ones used by rich countries to develop in the first place.26 Such arguments might contain a great deal of truth, but altering the global trading regime might be a more daunting challenge than the puzzle of economic development itself. 24 In contrast, a soft industrial policy focused on human capital does not infringe on the sacred principles of national treatment and most-favoured-nation status. In fact, investment in workforce skills could benefit foreign firms as much as domestic firms if they invest in the country. The WTO clearly supports such strategies; the Fourth Global Review of Aid for Trade, held at WTO headquarters to discuss its signature development initiative, featured a side event entitled “Skills for Competitiveness” , attended by the Director General of the WTO himself, Pascal Lamy. The side event was organized by the International Labour Organization (ILO), further illustrating the common ground between business and labour on skill development. 27 Jansen, M. (2004), 14. 29 Hnatkovska, V. and N. Loayza (2004), 19. 30 Yue, C. S. (2005), 6. 26 The acid test of any policy is implementation. Fortunately, the developing world has a guiding star in Singapore, which rapidly scaled value chains by making the necessary investments in human capital. From a labour-intensive economy in the years following independence, Singapore transformed into a capital-intensive and finally a knowledge-intensive economy. Workforce skills and the economy developed in a dynamic fashion, as the skills development system was repeatedly overhauled, prompting further economic transformation, which in turn demanded fresh changes to the skills development system. Interventions came in two types: public investment and incentives for private investment. Underlying both was a coordinated, professional civil service essential to successful implementation. 31 Economic Development Board (2012). 32 Prime, P. B. (2012), 147. 33 Seong, D. (2008), 45-46. 27When Singapore separated from Malaysia in 1965, it had a GNP below USD 320 per capita, 9 per cent unemployment, a 50 per cent literacy rate, and no natural resources.3132 At this early stage of development, Singapore could reap large productivity gains from reforms to the primary and secondary levels of schooling. Integrating the formerly disparate Chinese, English, Malay, and Tamil school systems, the Ministry of Education introduced a common national system that emphasized English as a second language, science, and mathematics.33 These skills provided a foundation upon which a globally competitive workforce could be built. Starting from low levels of human capital, investments were accordingly basic, but they grew more sophisticated as did the economy and workforce. 34 Yue, C. S. (2005), 6. 36 Prime, P. B. (2012), 149. 28Fortunately, Singapore did not have to wait for its investment in youth to mature before it could begin growing. Its well-developed infrastructure and the stability conferred by the People's Action Party’s political dominance made the nation a prime investment environment.34 Foreign corporations established garment and electronics factories to take advantage of low labour costs, and by the early 1970s, Singapore actually began to experience labour shortages, and had to rely on immigrants to meet demand.35 Wages were kept artificially low, in effect providing Singapore with an artificial competitiveness. 36 But in order to develop, which involved allowing its citizens to enjoy higher wages, Singapore needed to develop its human capital and become more productive. 38 Seng, L. S. (2012), 4. 39 Seng, L. S. (2008), 118. 29 Thus, the 1972 recommendation by the National Wage Council to allow wage increases was followed by the creation in 1973 of the Industrial Training Board (ITB) to “centralize, coordinate and intensify industrial training.”37,38 The ITB fostered a close relationship with the private sector, which would become a hallmark of Singapore’s vocational and technical education: it collaborated with businesses to develop relevant and rigorous curricula, it partnered with them to create apprenticeships and on-the-job training programs, and it signed memoranda of understanding with transnational corporations to keep its training staff updated on the most recent technological developments.39 The ITB’s close association with private enterprise was essential to its vocational training’s effectiveness, and the transfer of knowledge from transnational corporations ensured that its graduates were trained in the best practices of their industry, able to take on ever more advanced tasks. 40 Seong, D. (2008), 48. 41 Yue, C. S. (2005), 6-7. 42 Fong, P. E. and L. C. Kiat (1994), 1-2. 44 Seong, D. (2008), 54. 45 Seng, L. S. (2012), 5. 48 Central Provident Fund Board (2013a). 49 Workforce Development Agency (2012a). Source: Workforce Development Agency (2012a). 50 Johanson, R. (2009), 17-18. 52 Seng, L. S. (2012), 5. 34 The structural transformation that occurred during the New Industrial Revolution was a great development success as higher-value-added sectors and jobs appeared, but it also threatened to generate structural unemployment if the economy left older, less-skilled workers behind. To cope, and to further upskill the labour force, Singapore introduced several continuing education and training (CET) programmes between 1983 and 1987. Basic Education for Skills Training (BEST) and Work Improvement through Secondary Education (WISE) provided working adults with the equivalent of a primary and secondary education, respectively, while Modular Skills Training (MOST) taught technical skills.52 These investments in adult workers enabled them to participate in a more productive economy, benefitting both them and the businesses that hired them. 54 Ministry of Education (2013a). 55 Ministry of Education (2013b). 56 Ministry of Education (2012), 7. 57 Department of Statistics (2012a), Topic 19.1. 35 The next major update to Singapore’s human capital development system began in 1991 when the Long Term National Development sub-committee of the cabinet unveiled The Next Lap, a broad plan for national development that focused on human resources.53 Among the many outcomes of its proposals was the Edusave scheme, which provides targeted funding to the general education system. Each Singaporean child between the ages of seven and sixteen receives annual contributions from the government deposited into his or her Edusave Pupils Fund, contributions which can only be withdrawn to fund enrichment activities or fees for educational purposes beyond the standard classroom experience, and cannot be used to purchase textbooks or uniforms, or to pay exam fees.54 Edusave also provides awards to high-performing and well-behaved students and grants to educational institutions to fund enrichment activities.55 Financed by the returns of a USD 5 billion endowment fund, the programme distributed SGD 179.1 million in FY 2011, or SGD 384.11 for each child enrolled in primary or secondary education – Edusave’s target sectors.56,57 By tying the resources to exceptional activities or performance, Edusave minimizes waste and rewards quality in the foundational levels of its human capital development system. 59 Ministry of Trade and Industry (2002), 5-6. 37The Next Lap also called for the establishment of a third university in Singapore, which became Singapore Management University.58 The major push for higher education, however, came in 2002 from the Ministry of Trade and Industry report “Developing Singapore’s Education Industry”, which urged the “branding of Singapore as a global education hub” by improving its tertiary education system. Proposed strategies included attracting world-class universities to establish partnerships or branches in Singapore — as the Massachusetts Institute of Technology (MIT) and Wharton School of Business have done — increasing the proportion of young Singaporeans that attend college, and increasing resources by attracting more fee-paying international students.59 Although uncontroversial proposals, the involvement of the Ministry of Trade and Industry in improving Singapore’s education “industry” reveals the country’s conception of soft industrial policy: development demands a coordinated effort, with departments that design strategies responsible for coordinating with the departments that will implement them. 60 Seng, L. S. (2012), 13. 63 Institute for Technical Education (2009) Student Life. 64 Seng, L. S. (2012), 8. 38 In addition to moving into knowledge sectors, Singapore remained committed to its manufacturing base, and continued to invest in technical education accordingly. Its system of technical and vocational education and training (TVET) took on its current form in 1993 with the establishment of the Institute of Technical Education (ITE). In terms of academic ability, roughly the tenth to thirty-fifth percentile of a school cohort the ITE.60 Crucially, individuals are not treated as less important than their peers who enter polytechnics or junior colleges. A former director of the ITE remarks that overcoming the Asian cultural preference for academic education and building pride in vocational education was one of the institution’s greatest challenges and greatest successes.61 The ITE built its public image carefully, beginning with its physical presence. The three campuses offer state-of-the-art workshops as well as sports and arts facilities that foster a vibrant student life environment.6263 Far from superfluous spending, these investments have been identified as “an important factor in changing the mindset and perception of the public and image of the ITE.”64 The ITE also raised the profile of technical skills with “‘Top of the Trade’ television competitions and ‘Apprenticeship of the Year’ awards”, and promoted itself with branding and marketing campaigns.65 By improving the cultural standing of TVET, the ITE has continued to produce the motivated, skilled graduates essential to Singapore’s industrial competitiveness. 68 Singapore Department of Statistics (2012b). 70 Ministry of Finance (2009). 41 The council acts on its analysis through its control of the Productivity and Innovation Fund, an SGD 1 billion appropriation made by Singapore’s government to bankroll the productivity drive.70 The 2012 budget allocated an additional SGD 2 billion to the fund.71 In its first year of implementation, 20 per cent of Singapore businesses took advantage of the fund, primarily in the form of the Productivity and Innovation Credit.72 The Productivity and Innovation Credit reimburses firms for 400 per cent of their expenditure in six areas: training employees, information and automation technology, acquiring and licensing intellectual property, registering intellectual property, research and development, and design projects.73 Firms are compensated in the form of tax breaks, but some of the money can be claimed in the form of cash payments — an arrestingly explicit incentive to improve productivity. 75 Workforce Development Agency (2012b). 76 Singapore Workforce Skills Qualifications (2009). 77 International Labour Organization (2008), 22-24. 43The final pillar of Singapore’s most recent push to increase levels of human capital expands “Workfare” to provide a temporary income to low-wage workers while they enhance their skills. While the focus on the lower end of the skills ladder might seem counterintuitive for a country seeking to climb value chains, training in the most basic skills offers the greatest productivity gains; even for the OECD, a recent ILO report emphasizes the value of raising secondary-school completion rates, increasing certification of skills acquired on the job, and quality assurance systems in TVET.77 Furthermore, a development perspective should emphasize efforts to benefit lower-income workers. Demand-led employment training offers a balanced approach to this between market solutions and aid. 78 Central Provident Fund Board (2013b). 80 Ministry of Manpower (2012b). 44Workfare includes two complementary operations: the Workfare Income Supplement (WIS) and the Workfare Training Support Scheme (WTS). WIS is the more straightforward: payments to low-income workers aged over thirty-five to support them as they acquire more skills.78 Most of this payment goes into the worker’s account with Singapore’s compulsory saving system, the Central Provident Fund; only a small proportion comes in cash.79 The WTS provides grants to employers who send their older, low-wage workers for further training, awards to individuals who complete courses (such as WSQs), and runs the Skills Up programme, which provides mentoring in basic workplace skills.80 Together, the WIS and the WTS enable low-skill workers to meet basic needs while becoming more productive. 81 Ministry of Trade and Industry (2013), 9. 85 International Labour Organization (2012), 42. 46Further, although Singapore’s wage share is lower, it has been quite stable over time, fluctuating less than 1 per cent between 1980 and 2009 (a 0.7 per cent increase).84 The country has achieved this despite a trend of declining wage share in national income, as documented by the ILO’s Global Wage Report 2010/11/12 and the OECD’s Employment Outlook 2012.85 The OECD noted a median decline of 4.4 per cent across the 26 countries whose labour share had decreased.86 Taken in this context, Singapore’s wage share appears solid, even though it encompasses a lower level than most developing countries. 87 Kuruvilla, S., C. Erickson and A. Hwang (1996), 27. 88 Central Intelligence Agency (2013). 89 Means, G. P. (1996), 103-117. 49 The best-designed strategy to invest in human capital still requires competent institutions to implement it. This is a frustrating first lesson, because it means that many countries struggling with skill mismatches need to improve their governing capacity before they can tackle them. However, there is no escaping the fact that the state must address “government failure” before it can fix market failures. Singapore certainly did so, building its development strategies upon the foundation of a professional civil service. The country placed third in the inaugural Corruption Perceptions Index created by Transparency International in 1995 and has remained close to the top ever since.9091 The need for capable institutions to implement a human capital-focused development strategy adds urgency to the debate over what constitutes “good governance” and how to achieve it. Fortunately, several of Singapore’s other lessons shed light on how to improve governance. 92 Ministry of Manpower (2012a), 2. 50 Tripartism — the institutionalized cooperation of business, labour, and government on economic issues — helps policymakers acquire the input they need to do their job well. By granting a voice and even voting power to those involved, tripartite arrangements inform decisions and can help build consensus. In Singapore for instance, the National Productivity and Continuing Education Council is composed of six government representatives, four labour union representatives, and eight business representatives.92 Its tripartite character contributes to its mission to improve business competitiveness while simultaneously raising workers’ standards of living. Furthermore, the personal involvement of trade union presidents and CEOs of major corporations lends credibility to its recommendations. Numerous other tripartite institutions, from the National Wages Council to the Tripartite Committee on Low-Wage Workers and Inclusive Growth verify Singapore’s dedication to tripartition. 94 Saner, R. and L. Yiu (1994), 272. 51 The partnership between government, business, and labour, particularly at high levels, is reminiscent of Peter Katzenstein’s theory of corporatist arrangements in small states. Studying several small European countries, Katzenstein concluded that high-level bargaining between bureaucrats and interest groups allows them to manage the rapid change involved in participating in the global economy.93 Singapore’s close coordination with business and labour, as well as its frequent fine-tuning of a centralized economic strategy, have prompted comparisons with the corporatist framework before.94 As an Asian example of the corporatist model, Singapore strengthens Katzenstein’s argument that small states compete differently than large states, using their small size to coordinate economic actors in a way impossible for larger states. Thus, although tripartition is possible on a larger scale (it is a central principle of the ILO), it might work best in smaller environments. If so, Singapore could have lessons for say, Benin, but not Nigeria. 95 Baer, W. (1972), 108-09. 96 Ministry of Trade and Industry (1991), 2. 52 Some historical efforts to spur development attempted to force the creation of new industries; the Singapore example of more intelligent intervention tries to induce development by fertilizing sectors that already have a comparative advantage.95 True, Singapore practiced long-range economic planning, such as its 1984 goal to reach Switzerland’s 1984 level of GNP per capita by 1999, but at the operational level, it promoted industries that could succeed immediately.96 Keeping the ultimate goal of an advanced economy in mind, Singapore advanced methodically from labour-intensive industry into capital-intensive industry and finally into a knowledge-intensive economy that includes research, services, and high-end manufacturing. The Institute for Technical Education illustrates this principle: it has worked closely with industry to develop skills already in demand, over time raising the skill levels of Singapore’s manufacturing workforce. 53 If we imagine private enterprise to be a river, governments like Singapore do not build massive dams of trade protection and dig deep trenches of subsidies to divert its course; they strategically remove blockages caused by market failures, allowing the energy of private enterprise to carve a new channel for itself. This approach maximizes the chance that public investment pays off, making an activist development strategy affordable. 97 United Nations Economic and Social Council (2013), 2. 55However, there is less consensus about how states should go about facilitating development. Singapore’s experience suggests that in the proper context, investments in human capital can drive development. Using a combination of public investment, incentives for private investment, and close coordination with business and labour, Singapore rapidly upgraded its citizens’ skills, productivity, and ultimately their standard of living. While skills development certainly does not fully explain Singapore’s development success, it was undoubtedly essential to the country’s ability to keep moving into higher-value-added activities. Without rising levels of human capital, development would have stalled as skill gaps held back more advanced sectors. 98 Department of Statistics (2012c), 12. 56This approach succeeded spectacularly for Singapore, which continues to attempt to improve labour productivity. However, rising inequality poses a threat to its continued success. Singapore’s Gini coefficient has steadily crept upwards, rising from .454 to .478 in the last ten years, which included the moderating effects of the global economic crisis.98 From a development perspective, this means that less productivity gains trickle down in the form of higher wages. The declining share of income going to wages might slightly benefit competitiveness, but that faces diminishing returns and threatens to undermine domestic demand.99 To maintain its dedication to development, Singapore may need to continue to fine-tune its strategy. 57One of the enduring questions for twenty-first century politics and government is policy issues related to economic growth and national well-being. The key question is which social policies, especially in education, lead to sustained growth. This remains important in spite of economic growth in a huge number of countries in the last century and millions raised out of poverty. Notwithstanding those facts, millions more remain impoverished and national and international peace and sustainability cannot be envisaged without socio-political development of which economic growth is one key enabler. 58 As Saner and Yiu point out in ‘Learning to Grow: A Human Capital-Focussed Development Strategy, with Lessons from Sigapore’, for a range of countries a key challenge is to avoid ‘the middle-income trap’, a situation in which economic growth has plateaued and a country is unable to transition to the next level in part due to inadequacies in high-level human capital. Failure to make that transition leads to the possibility of increased competition from low-cost economies and heightened tension and frustration among nationals who now have, as a result of earlier economic growth, heightened expectations and aspirations. To ensure this trap is avoided, Saner and Yiu call for ‘a much closer alignment of policies for human capital and economic development’ and a ‘human capital focussed development strategy’. They point, rightly, to Singapore as a country that has avoided the middle-income trap, that now has a sophisticated and diverse economy, and that has one of the highest GDP per capita ratios in the world. 61 The leadership of the People’s Action Party (PAP) was influenced by Fabian political ideals — key members of the leadership had been educated in Britain — but soon realized that it was necessary to grow the economic pie before redistributing wealth. One key decision was for the government to prioritize economic growth, to have a share in the economy, and to utilize surplus to build infrastructure such as housing, schools, hospitals, and transport networks, and — as Saner and Yin point out — this strategy to some extent offset the low wages that labour received especially in the early stages of industrialization in the seventies. 62A key question has to be the extent to which human capital policies contributed to Singapore’s stellar economic growth. There is no doubt they played a large part, and will continue to do so, but it is also important to ask hard question about policy missteps and recognize unintended outcomes. 63 How can one characterize the Singapore education system? Given a five-decade development history, it is important to see its evolution in phases. Up until the late seventies, even when economic growth — especially job creation — was impressive, Singapore had an under-performing education system. The system was burdened by an over-ambitious bilingual curriculum, poor quality teaching, and only rudimentary Technical and Vocational Education and Training (TVET) infrastructure. Though primary schooling was near universal, Singapore did not have a policy on compulsory education (even today, only primary education is compulsory). There was high attrition in the system leading to a major review in the late seventies (Report on the Ministry of Education, 1978).103 Labour productivity was low, averaging 3 per cent per annum compared to about 7 per cent in Japan, Taiwan, and Hong Kong. It could therefore be argued that it was finance rather than human capital that spurred economic growth along with the fact that the government worked hard to create favourable conditions for investment, especially by maintaining peaceful industrial relations. 64 Significantly, in this phase the government put key TVET policies in place and invested in training infrastructure like the Adult Education Board, later the Vocational and Industrial Training Board. At the school level it mandated compulsory exposure to a TVET curriculum for male- and 50 per cent of female students. And it invested in teacher training as it recognized the lack of skilled teachers as an education quality issue, and in creating centralized workshops to serve students in a cluster of schools, a cost-effective way of overcoming facilities shortages. The government was not averse to setting manpower targets for post-secondary education, seeking to channel some 60 per cent of the cohort into technical/vocational education. 66 The government, recognizing that demand for skills was outstripping its capacity to educate and train (due to the success of the Economic Development Board (EDB) in attracting FDI), was able both to leverage foreign companies keen to invest in Singapore — Tata, Rolex, etc. – and to learn by obtaining assistance from Japan, Germany, and France. It is clear that the government’s strategy was not to rely on the school system alone. The creation of the Skills Development Fund enabled companies and businesses to invest in their employees’ skills, a significant departure from previous practice where employers saw it as the responsibility of the state to provide them with skilled labour. 67 Saner and Yiu attribute some of the success of the Singapore model to the Edusave initiative. While helpful in that it provided financial aid to poor but deserving children, and in this way helped to keep them in school, it did not directly impact on skills development. By the early nineties, Singapore had reduced attrition and built up a robust education system. More significant would be the decision to allow the use of Central Provident Fund (CPF) savings for education purposes as it facilitated the upgrading of qualifications and competencies. 68 A major feature of Singapore’s skill development infrastructure that receives insufficient attention in Saner and Yiu’s paper is the role played by polytechnics. There are five well-resourced polytechnics, which enrol a larger share of students from post-secondary education than the Institute of Technical Education (ITE) and the universities.105 They were and are crucial in the augmentation of Singapore’s skills stock. Indeed, it is possible to argue that the type of activities that ITE students are skilled to perform, will — in the future — be largely automated, and that companies needing such skills will relocate to sites at which labour is cheaper. In contrast, polytechnic-style education will confer skills that can be upgraded. Currently, many holders of a polytechnic diploma are pursuing university qualifications. The polytechnics played a significant role in the eighties and nineties in Singapore’s transition to a knowledge economy. 69 With regard to university education, the government’s stance was that publicly funded university education was only for the most able, estimated to be around 25 per cent of the cohort. It resisted the temptation to unwisely expand university education — up until the late nineties there was not even the alternative route of private university education in Singapore — and instead worked hard to make TVET attractive and closely linked to labour market needs. It was only when the economy was ready to move into its present knowledge economy phase that university access was expanded. The Singapore Management University (SMU) and the Singapore University of Technology and Design (SUTD) were established in 2000 and 2012 respectively, and more recently, under pressure from the electorate, the government has agreed to increase the university participation rate from the current 27 per cent to 40 per cent by 2020. It has insisted that graduates from these new institutions will have employable skills; internships will be a key feature in the design of programmes at SIM University and the Singapore Institute of Technology. Manpower from the universities will be the key to filling managerial positions and a key asset in contributing to Research and Development (R&D). 70 Singapore has made a successful transition to the knowledge economy. A strong education and training infrastructure exists, which the government labels a ‘bridges and ladders’ system, with multiple pathways. There is strong commitment to and investment in R&D though much of the talent needed to staff institutes like Biopolis and Fusionpolis has to be imported. The ability to coordinate policies across ministries gives policy and implementation a coherence lacking in other countries. There is both a strong reform imperative at work in the school system and on-going development of worker training through initiatives such as the Workforce Development Agency. 71 Several issues trouble Singaporean education at the present time. One is that the dominant focus on economic growth and the yoking of the education system to serve manpower needs has meant that both policy makers and citizens adopt an instrumental view of education, notwithstanding rhetoric and calls for holistic education. The curricula emphasis on languages, science, and mathematics has meant a neglect of the humanities. The system is regarded as having become obsessed with certification and parents invest large sums in private tuition. Competition to get into the top schools, programmes in universities, and polytechnics is intense. This orientation has consequences for Singapore’s aspirations to be a major player in the Knowledge-based Economy (KBE). The KBE rewards twenty-first century competencies such as creativity, resilience, entrepreneurship, and communication skills; the present performance orientation is ill suited to meet the needs of such an economy. 73 Some key features of Singapore’s development experience are worth noting. Singapore succeeded by recognising vulnerabilities, challenges, and opportunities. It built strong institutions and professionalized its civil service. It made quality and cost effectiveness key principles and avoided, where it could, populist measures. Successful implementation was a key feature of policy regimes and the country smoothed out contradictions by fostering coordination and ‘joined-up’ government. 74 Each phase of economic development throws up new policy challenges for skills development. Singapore will have to successfully change the culture and ethos of its education system, finding a balance between rigour and standards and innovation and creativity; it needs a less performance-oriented system. It will need to ensure the continuing relevance of ITE skills preparation to knowledge economy developments and requirements; and worker skill training can only succeed if employers are able to fairly reward workers and can take advantage of new worker skills and dispositions. Much has been achieved in Singapore but much more remains to be done. 75 To be sure, it would not be possible to export these policies to other contexts, but important principles can be gleaned from the Singapore experience. The reality of competition spurred a focus on economic growth, which could not be sustainably achieved without investment in human capital. Policy innovation and implementation capacity requires a professionalized civil service. A close linking of education institutions to economic growth trends and skill requirements in the labour market is essential to keep training relevant. And the government and employers need to share in worker skill development. Acemoglu, D. (1998) ‘Why do new technologies complement skills? Directed technical change and wage inequality’, Quarterly Journal of Economics 113, no. 4. Agrawal, S. (2011) ‘Singapore story’, Tata Review, January 2011. Almeida, R., J. Behrman and D. Robalino (2012) ‘Policy framework: The economic rationale for skills development policies’, in R. Almeida, J. Behrman and D. Robalino (eds.) The right skills for the job? Rethinking training policies for workers (Washington, D.C.: The World Bank). Baer, W. (1972) ‘Import substitution and industrialization in Latin America: Experiences and interpretations’, Latin American Research Review 7, no. 1. Birdsall, N. and F. Fukuyama (2011) ‘The post-Washington consensus: Development after the crisis’, Foreign Affairs 90, no. 2. Brunello, G. and M. De Paola (2004) Market failures and the under-provision of training, Paper prepared for the joint EC-OECD Seminar on Human Capital and Labour Market Performance, Brussels. Central Intelligence Agency (2013) ‘Singapore’, The World Factbook, https://www.cia.gov/library/publications/the-world-factbook/geos/sn.html (accessed 18 July 2013). Central Provident Fund Board (2013a) Skills development levy, http://mycpf.cpf.gov.sg/Employers/Employers_Guide_to_CPF/New_Employer/ne_Levies_and_donations/NewEmployer_LeviesandDonations_SDL.htm(accessed 17 July 2013). --- (2013b) Workfare income supplement (WIS) scheme, http://mycpf.cpf.gov.sg/Members/Gen-Info/WIS/WIS_Scheme.htm (accessed 17 July 2013). CET Campuses (2011) CET Campuses, http://www.cetcampuses.edu.sg/(accessed 17 July 2013). Chang, H. J. (2002) Kicking Away the Ladder: Development Strategy in Historical Perspective (London: Anthem Press). Department of Statistics (2012a) Yearbook of Statistics Singapore, 2012 (Singapore: Department of Statistics). Department of Statistics (2012b) Economic Survey of Singapore, http://www.mti.gov.sg/ResearchRoom/SiteAssets/Pages/Economic-Survey-of-Singapore-2012/A1.1_AES2012.pdf(accessed 31 July 2014). Department of Statistics (2012c) Key household income trends, 2012 (Singapore: Department of Statistics). Department of Statistics (2013) Statistics: Education and Literacy (Singapore: Department of Statistics), www.singstat.gov.sg/statistics/latest_data.html#1 (accessed 13 November 2013). Dobbs, R. et al. (2012) The world at work: Jobs, skills, and pay for 3.5 billion people (New York: McKinsey Global Institute). Economic Development Board (2012) ‘Our history: The 60s’, Future Ready Singapore, http://www.edb.gov.sg/content/edb/en/why-singapore/about-singapore/our-history/1960s.html(accessed 16 July 2013). Eichengreen, B., D. Park and K. Shin (2013) Growth Slowdowns Redux: New Evidence on the Middle-Income Trap, Working Paper no. 18673 (Cambridge, MA: National Bureau of Economic Research). 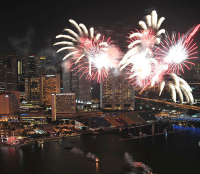 %20A%20Stronger%20Singapore.aspx (accessed 16 July 2013). Enterprise One (2013) Productivity and innovation credit, http://www.enterpriseone.gov.sg/Government%20Assistance/Tax%20Incentives/Product%20Development%20and%20Innovation/gp_iras_pic.aspx(accessed 17 July 2013). Felipe, J., A. Abdon and U. Kumar (2012) Tracking the middle-income trap: What is it, who is in it, and why?, Working Paper no. 715 (Annandale-on-Hudson, NY: Levy Economics Institute). Fong, P. E. and L. C. Kiat (1994) Industrial restructuring and retraining in Singapore, Training Policy Study no. 2, International Labour Organization. Hnatkovska, V. and N. Loayza (2004)Volatility and growth (Washington D.C.: World Bank, Development Research Group, Macroeconomics and Growth). Ho, D. (2012) ‘A primer on national conversations’, Singapolitics, http://www.singapolitics.sg/fast-facts/primer-national-conversations(accessed 18 July 2013). Institute for Technical Education (2009) Student Life, http://central.ite.edu.sg/index.php?option=com_content&view=article&id=68&Itemid=30(accessed 16 July 2013). International Labour Organization (2008) Conclusions on skills for improved productivity, employment growth and development (Geneva: International Labour Office). --- (2012) Global wage report 2012/13: Wages and equitable growth (Geneva: International Labour Office). Jankowsa, A., A. Nagengast and J. R. Perea (2012) The product space and the middle-income trap: Comparing Asian and Latin American experiences, Working Paper no. 311 (Paris: OECD Development Centre). Jansen, M. (2004) Income volatility in small and developing economies: Export concentration matters, Discussion Paper no. 3 (Geneva: World Trade Organization). Jansen, M. and R. Lanz (2013) Skills and Export Competitiveness for Small and Medium Sized Enterprises, Paper prepared for Fourth Global Review of Aid for Trade, WTO. Johanson, R. (2009) A Review of National Training Funds, SP Discussion Paper no. 0922, Social Protection Unit (Washington, D. C.: World Bank). Katzenstein, P. (1985) Small States in World Markets: Industrial Policy in Europe (Ithaca, NY: Cornell University Press). Kuruvilla, S., C. Erickson and A. Hwang (1996) ‘An assessment of the Singapore skills development system: Does it constitute a viable model for other developing nations?’, Industrial and Labor Relations Review 49, no. 4. Means, G. P. (1996) ‘Soft authoritarianism in Malaysia and Singapore’, Journal of Democracy 7, no. 4. Ministry of Education (2012) The education endowment and savings schemes: Annual report for financial year 2011/2012 (Singapore: Ministry of Education). --- (2013a) Edusave scheme: Frequently asked questions, http://www.moe.gov.sg/initiatives/edusave/faq/(accessed 18 July 2013). --- (2013b) Edusave scheme: Funds, grants, and awards,http://www.moe.gov.sg/initiatives/edusave/funds-grants-awards/(accessed 18 July 2013). Ministry of Finance (2009) Singapore budget 2010: Key budget initiatives: Skills, innovation, and economic restructuring, http://www.mof.gov.sg/budget_2010/key_initiatives/raising_productivity.html(accessed 16 July 2013). Ministry of Manpower (2012a) Fact sheet – About the NPCEC (Singapore: Ministry of Manpower). Ministry of Manpower (2012b) Workface training support scheme, http://www.mom.gov.sg/employment-practices/employment-rights-conditions/workfare/Pages/workfare-training-support-scheme.aspx(accessed 17 July 2013). Ministry of Trade and Industry (1986) The Singapore Economy: New Directions, http://www.mti.gov.sg/ResearchRoom/Pages/The%20Singapore%20Economy%20-%20New%20Directions%20%281986%29.aspx (accessed on 20 May 2014). --- (1991) The strategic economic plan: Towards a developed nation (Singapore: Ministry of Trade and Industry). --- (2002) Developing Singapore’s Education Industry (Singapore: Ministry of Trade and Industry). --- (2013) Economic survey of Singapore: First Quarter 2013(Singapore: Ministry of Trade and Industry). Organization for Economic Co-operation and Development (OECD) (2013) Interconnected Economies: Benefitting from Global Value Chains – Synthesis Report (Paris: OECD). Polaski, S. (2013) The global role of wages: Productivity, employment, and equity, Presentation prepared by International Labour Organization. Prime, P. B. (2012) ‘Utilizing FDI to stay ahead: The case of Singapore’, Studies in Comparative International Development 47, no. 2. Saner, R. and L. Yiu (1994) ‘Learning from the Asian NICs: Policy options for Central and Eastern European republics’, Advances in international comparative management, 9. Seng, L. S. (2008) ‘Vocational technical education and economic development: The Singapore experience’, in Lee, S. K., C. B. Goh, B. Fredriksen and J. P.Tan (eds.) Toward a Better Future: Education and Training for Economic Development in Singapore Since 1965 (Washington, D.C.: World Bank). --- (2012) Case study on ‘national policies linking TVET with economic expansion: Lessons from Singapore, background paper prepared for Education For All Global Monitoring Report (Paris: UNESCO). Seong, D. (2008) ‘Educational development in Singapore (1965-2005)’, in Lee, S. K., C. B. Goh, B. Fredriksen and J. P. Tan (eds.) Toward a Better Future: Education and Training for Economic Development in Singapore Since 1965 (Washington, D.C.: World Bank). Singapore Workforce Skills Qualifications (2009) Recognition and Articulation, http://app-stg2.wda.gov.sg/wsq/Contents/Contents.aspx?ContId=936 (accessed 17 July 2013). Spring Singapore (2011) Productivity fund dishes out $600m so far, http://www.spring.gov.sg/NewsEvents/ITN/2011/Pages/Productivity-fund-dishes-out-$600m-so-far-.aspx#.UeUAQo1miSo(accessed 16 July 2013). Transparency International (1995) 1995 Transparency International Corruption Index, http://archive.transparency.org/policy_research/surveys_indices/cpi/previous_cpi (accessed 4 August 2014). Transparency International (2012) Corruption Perceptions Index 2012, http://www.transparency.org/cpi2012 (accessed 4 August 2014). United Nations Economic and Social Council (2013) The developmental state: What options for Africa?, Issues Paper, Third Meeting of the Committee on Governance and Popular Participation, Addis Ababa. Wade, R. H. (2003) ‘What strategies are viable for developing countries today? The World Trade Organization and the shrinking of “development space”’,Review of International Political Economy,10, no. 4. --- (2010) ‘After the crisis: Industrial policy and the developmental state in low-income countries’, Global Policy 1, no. 2. Workforce Development Agency (2012a) Employer-based funding, http://www.wda.gov.sg/content/wdawebsite/L102-ForEmployers/L223E-007EmployerBasedFund.html(accessed 17 July 2013). --- (2012b) WSQ for individuals, http://www.wda.gov.sg/content/wdawebsite/L101-ForIndividuals/L201-012WSQforIndividuals.html(accessed 17 July 2013). Yue, C. S. (2005) The Singapore model of industrial policy: Past evolution and current thinking, Paper presented at the Second LAEBA Annual Conference, Buenos Aires. 100 Chan, H. C. (1971) Singapore: The Politics of Survival (1965 – 1967) (Singapore: Oxford University Press). 101 Castells, M. (1988)The developmental city state in an open world economy: the Singapore experience, Working Paper No 31, Berkeley Roundtable on the International Economy (Berkeley: University of California). 102 Chan, L. M. (2008) ‘Polytechnic Education’ in Lee, S. K. et al. (eds.) Toward a Better Future: Education and Training for Economic Development in Singapore since 1965 (Washington, D.C.: World Bank). 103 Goh, C. B. and S. Gopinathan (2008) ‘The Development of Education in Singapore since 1965’ in Lee, S. K. et al. (eds.) Toward a Better Future: Education and Training for Economic Development in Singapore since 1965 (Washington, D.C.: World Bank). 104 Gopinathan, S. (1995) Education and Development in Singapore’ in Morris, P. and A. Sweeting (eds.) Education Development: The East Asian Experience (London: Pergamon Press). 105 Law, S. S. (2008) ‘Vocational Technical Education and Economic Development – the Singapore Experience’ in Lee, S. K. et al. (eds.) Toward a Better Future: Education and Training for Economic Development in Singapore since 1965 (Washington, D.C.: World Bank). 106 Bhaskaran, M. et al. (2012) ‘Inequality and the Need for a New Social Compact’ in Kang, S. H. and C.-H. Leong (eds.) Singapore Perspectives 2012 (Singapore: Institute of Policy Studies/ World Scientific). Professor Titular at Basel University (Economics Department, 1988-present- WTO dispute settlement negotiations); Sciences Po, Paris (2005-; trade & development and inter- institutional negotiations); He is also co-founder of CSEND, a Geneva based non-governmental research and development organisation, 1993-present. Co-founder and president of the Centre for Socio-Eco-Nomic Development, a Geneva based research and development institute (CSEND, since 1993)and visiting professor at National Chengchi University, Taipei.